Christmas giving is over for this year, at least in my family that is. We met at my sister's and I gave out all of my gifts for my family. 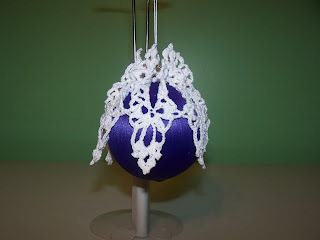 sorry to say this year I had no tatting gifts only crocheted Christmas Ball gowns which were a hit. all of my new snowflakes are still hanging in my window. I add to them from time to time, especially when I a new one online that I like. Last year I gave away most of my tatted snowflakes so I will have to work on some new ones. Plus I would like to do some Ball Gowns that are tatted. Haven't see any of those online yet, but I am sure a designer will create one sooner or later. My grandson and his girlfriend are up for a few days. It has been a long time since I have seen my family for our Christmas party. So this was especially nice for me. Generally it is all my nieces and nephews that are with us for Christmas. I am hoping he can come every year now as I expect he will continue to live in this state. He will be the only one of my grandchildren in the same state as I am. So I am glad to have at least one of them close by. The others are in North Carolina and Alaska. 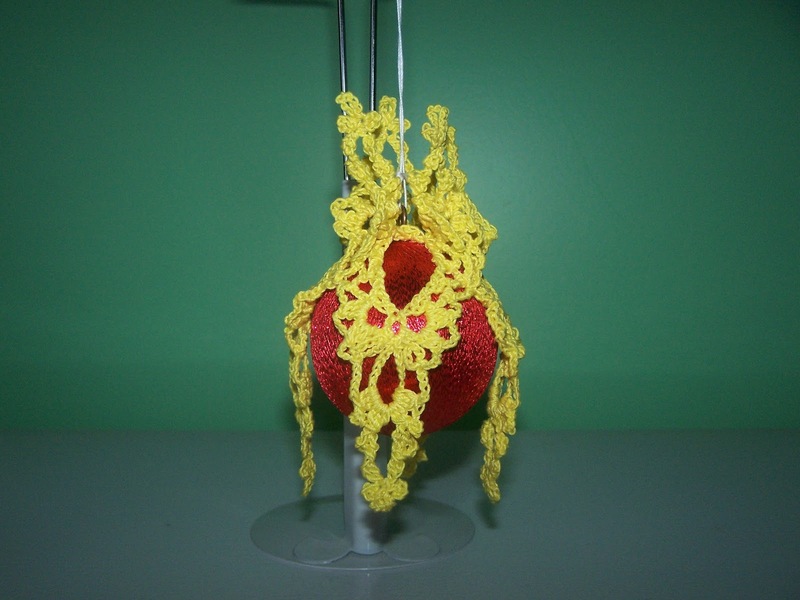 I have been sewing, knitting and crocheting a lot this fall. I think I made over a dozen of the Christmas ball Gowns. I may have one left when all is said and done. I have maybe four more balls to cover, after Christmas I am going to look for some more balls on sale. I will need some to cover if I every get some tatted covers made. What a cute play on words. I love your little Christmas ball gowns!